Are you looking for an innovative game? Check out Cash Buster Spin at Moon Games! This instant-win game is a creation of IWG, coming with a colourful design. Trigger exciting wins by exploding the bricks and matching the colours on the grid. Plus, enjoy the original bonus features which enhance your gaming experience. 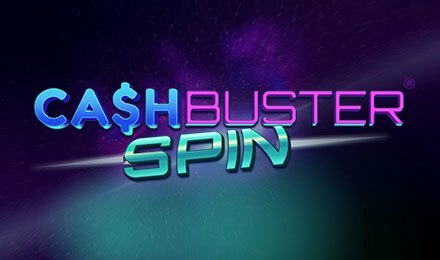 Cash Buster Spin is playable on any device at Moon Games! Get started on Cash Buster Spin by adjusting your stake. After placing your bet, hit the Spin button to enjoy the game. Initially, you are provided with 6 spins. Your aim is to match the colours on the grid by filling the rows and exploding the bricks. At the bottom of the grid, you can see the next colours. Get the chance to trigger instant wins, as well as bonus wins! Spin the 4 Super Reels on Cash Buster Spin to reveal 3 colours. Find 3 matching colours on 1 reel to earn the prize displayed to the right. Get the chance to spin the Mega Wheel which rewards you a variety of prizes. The feature ends when it stops on “Collect”. Cash Buster Spin is played with 6 initial spins. However, additional free spins can be triggered during the game. Enjoy an innovative gameplay on Cash Buster Spin at Moon Games and spend hours of fun! Wish you all the best! !